Gifts for the Newborn King Cross Stitch Pattern to print online. 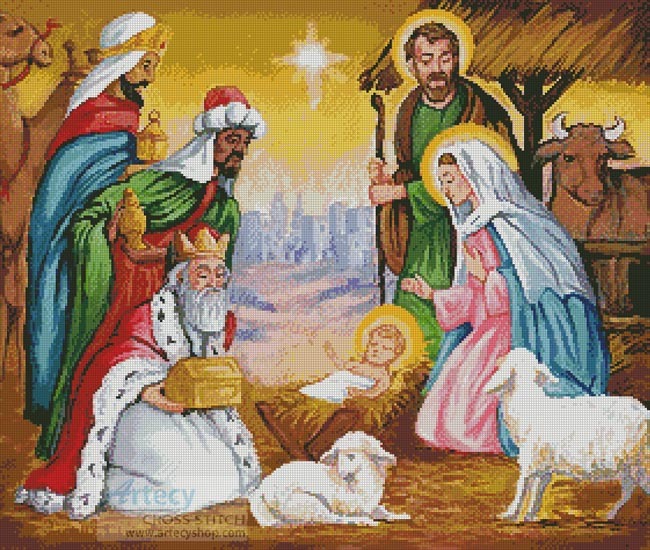 This counted cross stitch pattern of the Nativity scene was created from artwork copyright of Joseph Holodook. Licensed through Porterfield's LLC.